The tiny town in regional New South Wales holds a special place in the heart of the royals spanning 100 years. It turns out that the country town of Dubbo holds a special place in the royal family's heart. According to experts, its connection with Kensington Palace stretches back much further than Prince Harry and Meghan's visit. 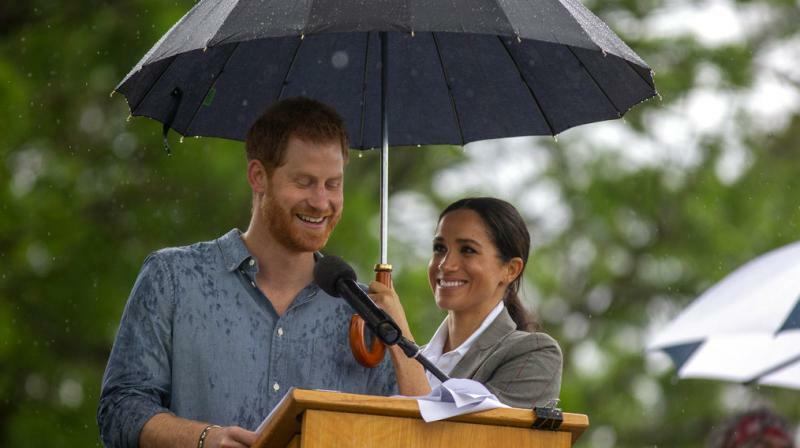 The royal couple's visit to Dubbo, 400km northwest of Sydney, on Wednesday as part of their first overseas royal tour, is the sixth by royals to the town of just 40,000 since 1920. Edward, Prince of Wales’ first visit to Dubbo in 1920 to pay tribute to residents who served in World War 1 helped transform the then decrepit ‘Tin Town’ with a population of 11,000 into a thriving regional hub in New South Wales' central-west. In 1954, Queen Elizabeth II and the Duke of Edinburgh visited Dubbo. Their visit swelled the population from 11,000 to 50,000 as out-of-towners tried to catch a glimpse of the monarch. The army had to be called in to keep the large crowds under control, and the townspeople proudly showed their patriotism according to the Daily Liberal. Before the visit on Wednesday, the last was in 2006 when Prince Edward met with students involved in the Duke of Edinburgh program. Meghan and Harry have another packed day of engagements ahead of them, with the royal couple starting by meeting the mayor of the city in central west New South Wales, as well as local schoolchildren.